Your neighbours in Canada follow you as well! (daily by myself) as you are such an inspirational and adept writer! 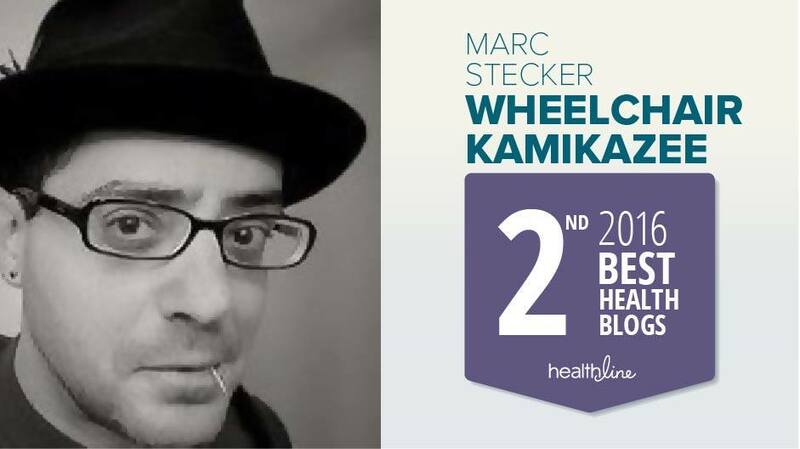 Marc, congratulations on reaching the 1 million page visits milestone. This is a testament to the number of people you've inspired and entertained over the years. I'm glad to hear that the blog brings you as much enjoyment as it brings us. Thank you! 1 million hits is quite an accomplishment. I know your writing is well respected across MS boards, as it should be. Your writing has been and is inspirational. 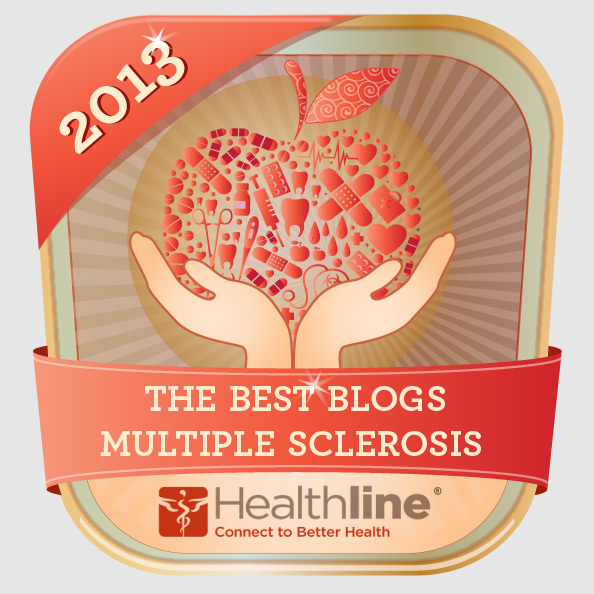 I have recommended your site to quite a few fellow patients, people who love MS patients, and doctors. As for the ridiculous research, this one is even worse than the experiment showing MS patients had more cognitive difficulties in warmer temps. At least this one's methodology was better than the heat experiment when they took two different groups of MS patients and gave them cognitive tests with one group during the summer and another 4 or 5 months later. The groups weren't the same size, and they were small. They were so small just getting one or two smarter people in the cooler temps would throw the results. The results did come back as expected with heat making us struggle, but...However, that experiment at least lead me to try and determine a seasonal effect using Patients Like Me data. So that one at least had the potential to lead to some knowledge gain. I am at a loss as to what the knowledge or research the German study could spawn. 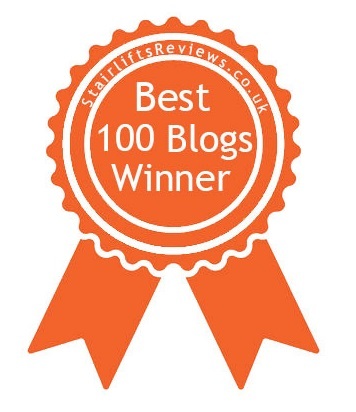 Thanks for your kind words, and for recommending my blog to others. You're right, as far as asinine research goes, this Spasticity study is one of the most asinine I've come across. I can only surmise that in a "publish or perish" environment, some researchers will publish anything to forgo the risk of perishing. What really boggles the mind is that studies such as this actually get published in legitimate journals. Is it any wonder that cures for disease are in such short supply, when so much time and energy is wasted on absolute drivel? Fortunately for all of us, MS has not robbed you of your brilliant mind. 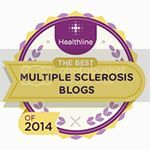 One million visitors is only the beginning as the rest of the world increasingly becomes aware of your informed, discerning, and wise perspective about MS and life in general. On several fronts, I find your website unparalleled by any other dealing with the topics you focus on. 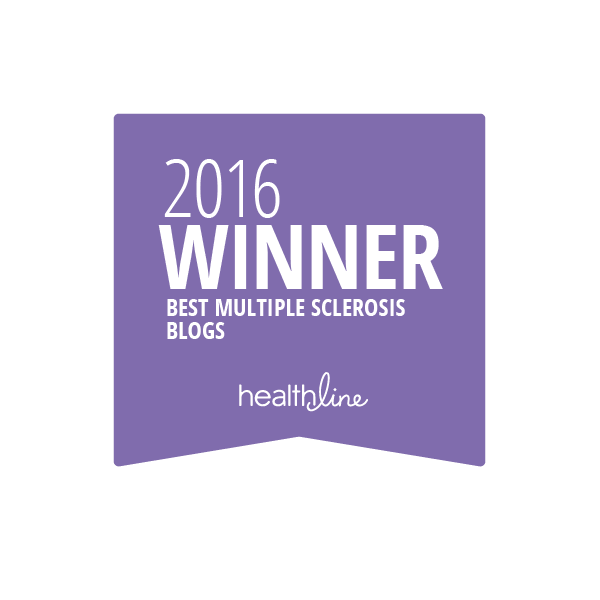 Though I frequently read elsewhere about MS research, your analysis is one I always learn from and trust. Your spiritual and emotional approach to coping with the impact of this devastating disease is both honest and inspirational. This is a calling I am sure you would not have chosen, but it is one you have answered in a way that illuminates life’s path for many. Thank you for accepting the call. Thanks so much, Judy. Your own work is illuminating as well, and hopefully your words will soon reach the masses via your recent publishing efforts. Congratulations on one million views! You have a very strong following in Canada. (Thanks for reminding me about the sinus infection research.) 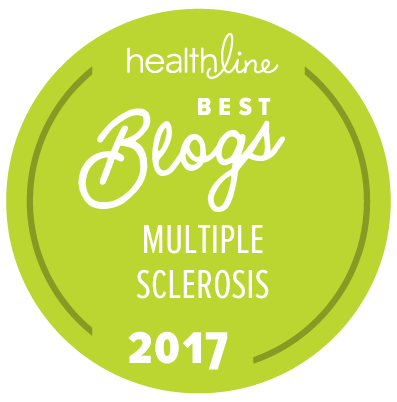 You were the first blog I put on my blogroll when I started blogging about my MS. You make me laugh, cry, think and give thanks that you are there for all of us. Congratulations on one million viewers. I am new to your site and it has been a pleasure. 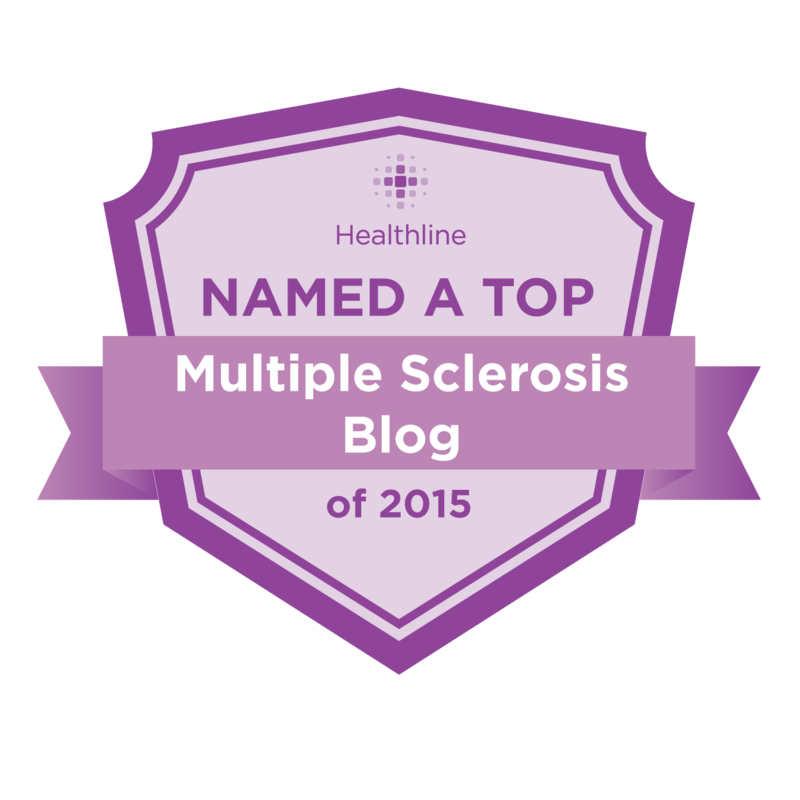 I have had MS for 8 years--irresolvable pain for 5 years, an unsuccessfull MVD this summer. All of this, has, of course, lead me to deep depression. Your site has made me feel less alone, makes me laugh regularly, and is the ONLY MS related site I follow. I am generally a practitioner of denial, but I love your site! Marc: Gratefully, like you, I have an enormously supportive spouse, a sparkling 9 year old boy, a beautiful teenage stepdaughter, and a tenderhearted teenage step son. Not to mention a full-time job (thankfully still) and a coterie of family and friends. So while depressed, no imminent chance of me offing myself. I have very little cognitive (I think) and physical impairment, it is just this searing nerve pain in my face and crippling migraines. So I suppose I have what I have sometimes heard referred to as "silent MS." As you know, no matter the extent of your loving support, the suffering of pain is a solo endeavor. And, as surrounded as you may be, it is searingly lonely. Your work, alone amongst the infinite amount of crap on the internet, has made that process much less lonely for me. Plus, the Guido Sarducci clip made me laugh out loud at my desk today. The best cure for depression. As my father once told me, Rosanne, Rosanne, Adanna, its always something. Mark, you should be more shocked that your page hasn't hit 4 million views by this point. You are a vast wealth of knowledge with a great characteristic. You have the ability to "dumb it down" to the common man (such as myself) without losing the integrity of what you're trying to say in the process. I'm a very mechanically inclined type of person, but I've never really understood medicine and things of that nature. After reading your posts, I feel confident that I would have no issue arguing the merits of a given medicine to anyone that needs to know. 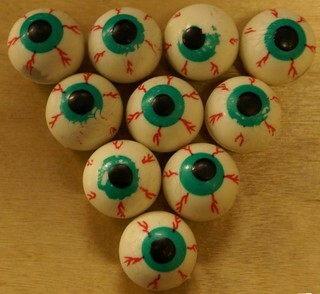 As a change of subject, my disease has been progressing as of late. In the past, any time I've had an issue, it's cured with a 3 day trip to the hospital for a Solumedrol IV. However, I received my latest IV back in December for rather severe joint pain. It felt as though my wrists were both broken. The IV treatment took care of that for about a week, but it's been back with a vengeance ever since. My neurologist has scheduled for me to receive another set of MRI's tomorrow with the hospital's new 2 Tesla MRI. He's under the impression that the Tec Fidera isn't really doing what it needs to, and is considering bumping me up to Tysabri. This has me a little worried, but it may be for the best. I know that I am clean of the JC Virus as of blood tests performed back in August. Time will tell if this is still the case. I'm just a tad apprehensive about the possibility of being bumped up to the next medicine. I hope for my own sake that all is well. I'll report back here with any news that I receive in the coming weeks. Have a great day and keep up the engaging posts. I, for one, am glad to read them. Jonathan, much of the medical research isn't really all that hard to understand, it's just presented in such a way as to dissuade nonmedical types from trying to penetrate the jargon. Of course, some of the research is quite complicated, but I think that much of the time it's written so as to keep the "sacred knowledge" confined to those anointed as members of the medical community. Knowledge is power, after all, and those with power are usually loath to share it. Johnathan: Tysabri made me feel better than any drug I have been on since my MS diagnosis 8 years ago. I recently switched to Tecfidera, have only been on it for about 2 months, but am considering returning to Tysabri. I am sure you are aware of this, and Marc can rant much better than I, but make sure you apply for the financial assistance from Biogen. The co-pay, even with a good insurance policy, can be outrageous. My husband and I both earn over six figure salaries (for now), and I qualified for the financial assistance, which brought my monthly co-pay for the drug down to $10. There is a separate co-pay for the infusion itself. As Marc would say, fracked up that the drug company is making so much money on the drug (via what they charge and recover from your insurer), that they will literally PAY you to take it. An evil alliance. Still, I had a great experience with the drug and hope you do too. Plus, the two hours of alone time in the infusion chair was often the most relaxing two hours I had in any given month! I suppose that is a sad commentary on me. Best of luck. I am especially fond of your senseless research posts and it is flat out amazing that there always seems to be another one available for your comments, to the edification and delight of us all. Not at all surprised at the 1M mark - congrats! Congrats on the milestone, Marc. If the right folks have done their research, perhaps we'll be able to break bread together soon. On a side note considering the rise of those on social security disability, one thing that really surprised me is how the life insurance industry really discriminates against those receiving disability, even if the cause isn't life threatening. In particular I worked for one major life insurance employer for over two years before I even knew that some individuals who are currently receiving SSI could actually qualify for traditional coverage. I'm only 32 and I can't seem to find any reasonable life insurance due to having MS. I've been looking on and off for the last 5 years to no avail. I have a 2 year old now, and I would really like something to benefit her, just in case something happens not disease related. Yet I'm ostracized due to my affliction. You can at least get term life insurance with MS (and convert it to whole life if desired) - I am proof of that. Disability insurance is not an option. Congratulations, Marc. Your posts are always filled with timely stats as well as humor and stark reality. Of course your photography is amazing as well as your quick wit. Thank you for all you do for all of us MS'ers out here. I'm actually a big fan of antioxidants. I am under the care of a naturopathic doctor who works out of my neurologists clinic, and she is a strong proponent of antioxidants for those with neurodegenerative diseases. I have read some of the recent news about antioxidants, and my naturopath is checking out some of the compounds being mentioned. I will report back when I get some feedback, positive or negative… Thanks for your comment. Are you looking in to MitoQ? As ever thank you Marc and congratulations on the million mark. As I struggle toward 9000 on the TrailRider Tales blog I precisely understand the momentousness. I particularly like the way that you present complex medical issues - always tinged by the peculiar injustice of the US system. I live i Australia where things are very different. I am Secondary Progressive so the damage is already done and, as you and most of your readers will realise, the vast majority of research and consequent medication focuses on the earlier Relapsing Remitting stage. So complete is this bias that I generally skip (WK excepted!) most MS research reading. However there turns out to be one drug that has relevance to conduction in de-myelinated nerves. Fampridine (AKA Fampyra) contains the active ingredient 4-amino-pyridine which is a potassium channel blocker. My understanding is that this transmission occurs sideways, out of the nerve, and so blocking it improves end-to-end conduction. To make some attempt to verify this (on my neurologist's suggestion) I tried stopping 4AP for a week The decline that week was sufficient for Ros (wife and carer) to question whether she could continue to care for me and the recovery, after that week was equally distinct. One reason research focusses on RRMS is that the population is much larger, and it is much easier to construct a trial with measurable outcomes (they mostly just use MRIs to count new lesions - that is pretty easy and cheap). Some drugs may in fact be effective for people with SPMS as well, but it simply does not make business sense for pharmaceutical companies to try to construct a trial for SPMS or that even smaller cohort, PPMS, and enroll sufficient numbers of people in it, when many people can and will get the drug prescribed by their neurologist anyhow. I am one of those SPMS people, and am actually doing quite well on Tysabri - no panacea, but it has objectively helped a rapidly progressing course slow down. For those with SPMS the emergence recently of The International Collaborative on Progressive MS is exciting. I found it hard find any figures for the comparative numbers of RR and SP MS sufferers. It stands to[ reason that there are more of the former as the average time before people "move on" is 20 years therefore I imagine many die.For those with SPMS the emergence recently of The International Collaborative on Progressive MS is exciting. I found it hard find any figures for the comparative numbers of RR and SP MS sufferers. It stands to[ reason that there are more of the former as the average time before people "move on" is 20 years therefore I imagine many die. Thanks for your comments, David. It is indeed incredibly frustrating that we "progressives" have by and large been ignored by the MS research powers that be. Of course, this "willful ignorance" is due in large part to financial concerns, as there are too few of us to warrant the expense of the research and development of drugs specifically to treat our flavor of the disease. Of late, though, we have been getting more attention, and there are several trials underway specifically aimed at treating progressive MS. One can only hope that tangible results will be seen sooner rather than later. Glad to hear that you've had success with 4-AP. I tried both 4-AP and Ampyra (as it is called here in the states) with no luck. Still can't understand how the Pharma company that makes Ampyra was able to get a patent on a compound that has been available for decades as a commercial avian poison, but they somehow managed the trick. Some patients have told me that Ampyra seems to be more effective than 4-AP, but I don't know that this has received any scientific interest. No reason to look a gift horse in the mouth, though, as long as it works for you, hurrah! Two MS studies posible cause -one in Denmark involving 350 MS patients reveal they have the HERV retrovirus. Study in spain reveal 1600 patients with the HERV retrovirus. Are these studies getting ignored?. Marc. Congratulations! You are doing a great job. I would like to refer to a previous post on MRF who set its goal to have a therapeutic agent that repairs MS nervous system damage available to patients by 2019. I am just wondering how they wish to achieve this. Even if they have a working compound today, it seems unrealistic to me that they could complete clinical trials and start marketing in cuch a time frame. Am I wrong? Can you share more inof on this? Where do they stand now? As for MitoQ. Be careful. If you translate the dosage used in mice into human, then you should take lots of pills a day, which is not only expensive, but killed one of the mice in the study. Do you have any news on MSC-NP? Did you start the clinical trials? When I talked a researcher there he emphasized the immunmodulatory effects of this type of stem cells and he expected that patients with active lesions would most likely benefit. However, I am sure that Dr. Sadiq and his team is doing a great jov and I really wish you benefit from the treatment. On a different note, are there any drugs used off-label or currently in clinical trials thyt you think worth looking into if you have PPMS? Thanks and I hope one day we do not have to talk about these issues as we already have a cure. Hi Rob, thanks for your comments. I'll try to address your issues as best I can. As far as the stem cell trial is concerned, I don't believe that I will be one of the trial candidates, has my diseases so atypical that it shouldn't disqualify me from the inclusion criteria. However, I have high hopes for the success of the trial, based on my knowledge of the research being done and the quality of the researchers behind it. I know that Dr. Sadiq is quite anxious to expedite the research as much as possible, and bring these techniques to clinical practice as soon as possible. Again, we can only hope that the charter goal meets with great success. As for potential treatments for PPMS, I just came across a study today out of Europe regarding the use of intrathecal injections of steroids in progressive MS patients. The results look quite impressive. Thank you, Marc. I hope MitoQ will help you. As for MRF, it is really good that they have a compound in their pipeline and they might start clinical trials soon. You are right, clinical trials can be completed in 5-6 years, so if we are lucky something good can happen by 2019. I just noticed that Phase 1 clinical trials will start with rHIgM22. It might be an interesting candidate. As for MSC-NPs, did Dr Sadiq say anything about their hopes, whether it does more than immunmodulation and might do some repair? As far as I know MSCs help in immunmodlation and have an antiinflammatory effect. If these neural precursors could induce remyelination, that would be great. The intrathecal application of steroids seems really promising as other cytotoxic drugs like Rituximab and Methotrexate also used intrathecally in clinical studies for PPMS. It seems that one specific feature of long-standing MS is that inflammatory cells accumulate in the central nervous system(CNS) compartment in the subarachnoid and perivascular spaces and may therefore be hard to reach via standard drug delivery through systemic administration. I just hope they will see these projects through, as otherwise most neurologists will not take the risk to apply these drugs or reccomend these treatments for patients. Thanks for the info.